Christopher Thornberg is Director of the UC Riverside School of Business Center for Economic Forecasting and Development and an Adjunct Professor at the School. He is also the Founding Partner of Beacon Economics LLC. 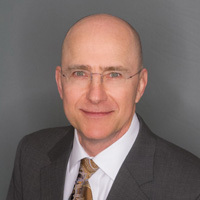 An expert in economic and revenue forecasting, regional economics, economic policy, and labor and real estate markets, Dr. Thornberg has consulted for private industry, cities, counties, and public agencies in Los Angeles, San Francisco and the Bay Area, San Diego, the Inland Empire, Seattle, Orange County, Sacramento, Nevada, and other geographies across the nation. Dr. Thornberg became nationally known for forecasting the subprime mortgage market crash that began in 2007, and was one of the few economists on record to predict the global economic recession that followed. Well known for his ability to capture and hold audiences, Dr. Thornberg has presented to hundreds of leading business, government, and nonprofit organizations across the globe including Chevron, The New Yorker, Colliers International, the California Chamber of Commerce, City National Bank, the California State Association of Counties, State Farm Insurance, the City of Los Angeles, the California and Nevada Credit Union League, and the National Steel and Shipbuilding Company, among many others. He has testified before the U.S. Congress House Committee on Financial Services on municipal debt issues, before the California State Assembly Committee on Revenue and Taxation regarding rule changes related to Proposition 13, and before the Los Angeles City Council about proposed changes to local minimum wage laws. Dr. Thornberg is a panel member of the National Association of Business Economists’ quarterly “Outlook,” and a contributor to monthly economics polls published by Reuters. He also serves on the Boards of Directors of both the California Chamber of Commerce and the Los Angeles Area Chamber of Commerce, and is an Executive Member of the Central City Association (Los Angeles) and a member of the California Association for Local Economic Development. Prior to launching Beacon Economics, Dr. Thornberg was a senior economist with UCLA’s Anderson Forecast. He previously taught in the MBA program at UCLA’s Anderson School, in the Rady School of Business at UC San Diego, and at Thammasat University in Bangkok, Thailand. He has also held a faculty position in the economics department at Clemson University. Sherif Hanna is Deputy Director of the UC Riverside School of Business Center for Economic Forecasting and Development. Mr. Hanna has over 20 years of operations management experience and guides the long-term direction of the Center establishing short-term goals, objectives, and strategies to achieve that vision. 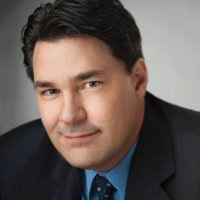 He creates strategic partnerships with key business and community institutions and organizations, working extensively with senior executives in state and local government and at Fortune 500 companies that span industries such as manufacturing, banking and finance, insurance, real estate, and global trade. Mr. Hanna is responsible for continually improving and expanding research product lines and for overseeing client service, growth, administration, and the professional development of staff. He honed his managerial and strategic planning skills at both small and large companies and has particular expertise in workflow re-engineering, start-up management, and business development. In addition to his role at the Center, Mr. Hanna is also the Managing Partner of Beacon Economics LLC. Formerly, he was Managing Director of the UCLA Anderson Forecast where he identified areas of underperformance and refined operations to ensure higher levels of productivity. 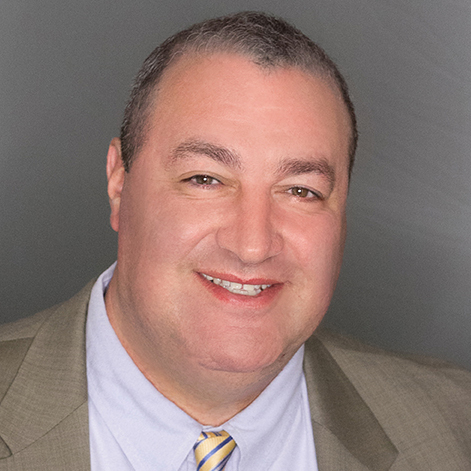 Mr. Hanna also served as Senior Vice President of Consulting Sales and Strategic Alliances at The Advisory Company, and prior to that was Vice President of Technology Sales and Business Development for AnnuityScout where he was responsible for national sales and account management of groundbreaking B2B and B2C technology. Earlier in his career, he held executive positions at American General Corp.
Mr. Hanna holds a B.A. degree in Political Science from California State University, Northridge. Robert Kleinhenz is Economist and Executive Director of Research at the UC Riverside School of Business Center for Economic Forecasting and Development and one of California’s leading economists. Dr. Kleinhenz is a much sought-after specialist for his deep knowledge of the California and U.S. economies and their industries. Tapping nearly 30 years of experience in analyzing the national and state economies, as well as the economies of California’s many diverse regions, he oversees economic research and public policy analysis at the Center. He is also Executive Director of Research at Beacon Economics LLC. In his work, Dr. Kleinhenz produces a wide variety of economic forecasts, impact studies, and public policy analyses. Some of his recent projects have included spearheading an economic impact analysis for the City of Los Angeles’s 2024 Olympic bid, and policy research related to California’s growing demand for housing. 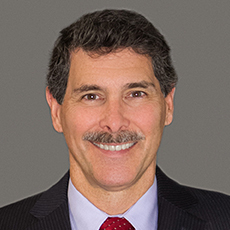 Formerly Dr. Kleinhenz served as Chief Economist of the Kyser Center for Economic Research at the Los Angeles County Economic Development Corporation (LAEDC). Earlier in his career, he was Deputy Chief Economist at the California Association of Realtors where he focused on housing market and consumer research. He also taught economics for over 15 years, most recently at California State University, Fullerton. A leading voice in Los Angeles and beyond, Dr. Kleinhenz is an in-demand speaker who regularly presents to business, government, and nonprofit organizations. A well-known media commentator, he has been interviewed on CNBC and NPR and is regularly quoted in major national dailies including the Wall Street Journal. Current and past affiliations include the National Association for Business Economics, the National Association for Business Economics Los Angeles Chapter, the California Chamber of Commerce, the California Association for Local Economic Development, the Western Economic Association International, and the Real Estate Research Council of Southern California. Dr. Kleinhenz holds a Ph.D in Economics from the University of Southern California with a specialty in Urban and Regional Economics. He also holds an M.A. degree in Economics from the University of Southern California and a B.A. degree in Economics from the University of Michigan. Adam J. Fowler is Director of Research at the UC Riverside School of Business Center for Economic Forecasting and Development. Mr. Fowler is responsible for overseeing the Center’s research staff and leading projects related to sustainable growth and development; housing, land use, and real estate; environmental economics and domestic energy; public opinion and attitudes; public policy analysis; and regional economics. His recent work portfolio includes co-authoring a high profile analysis of the film and digital media industry in Los Angeles, highlighting both the technological disruption occurring in the industry and the competitive value of diversity. Other recent work includes an analysis and critique of California’s regional housing goals for the public policy group Next 10, and a Labor Market Intelligence Report for San Bernardino County that identifies key trends in the region’s core industries. Mr. Fowler’s research interests include the intersection of behavioral economics and public policy. In addition to his role at the Center, he is also Director of Research at Beacon Economics LLC. Rick Smith is Director of Business Development at the UC Riverside School of Business Center for Economic Forecasting and Development. He is responsible for growing the Center’s client base, and improving and expanding its business development strategies. Mr. Smith has over 20 years of sales, sales management, marketing, and financial industry experience with a concentration on the home mortgage industry, financial management, and equities trading. Mr. Smith holds a B.A. degree in Economics from the University of California, San Diego. Victoria Pike Bond is Director of Marketing & Communications the UC Riverside School of Business Center for Economic Forecasting and Development. She is responsible for internal and external communications at including public and media relations, product marketing, and website development and management. Ms. Bond is a specialist in the fields of strategic communications and public affairs and has worked with members of the state, national, and international media managing crisis communications and conducting targeted outreach. She served as a press spokesperson for the California State Department of Transportation (Caltrans) and is an accomplished writer of communications pieces including press releases, newsletters, op-eds, marketing materials, proposals, and website content. In addition to her role at the Center, she is also Director of Marketing & Communications at Beacon Economics LLC. Formerly, Ms. Bond managed media relations at the Public Policy Institute of California (PPIC) where she was responsible for all aspects of the institute’s media operation. Prior to that, she was a communications associate for environmental and communication management firm Circlepoint, working on the communication components of major public projects including the San Francisco Bay Bridge retrofit, the 680/24 Interchange reconstruction in Walnut Creek, and the merger of the Union Pacific and Southern Pacific Railroads. Ms. Bond holds a B.A. degree in Political Science from the University of Minnesota. 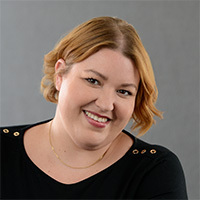 Alysa Hannon is Manager of the Sustainable Growth and Development Practice at the UCR School of Business Center for Economic Forecasting and Development. 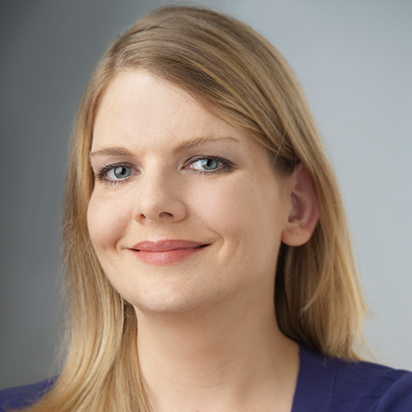 Ms. Hannon is responsible for developing client relationships and partnerships as well as the Center’s product line, particularly in the field of sustainable growth and economic development. 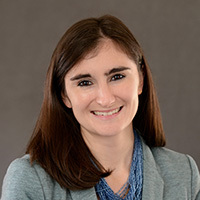 Ms. Hannon comes to the Center with eight years of experience in an economic development practice, both in international and domestic settings. In addition to her role at the Center, she is also Client and Product Development Manager at Beacon Economics LLC. Prior to joining the Center, she was with the New York City Economic Development Corporation’s (NYCEDC) Center for Urban Innovation where she managed the City’s $7.5M portfolio of 18 incubators and designed new programs around impact investing, fintech, and employment-based social enterprise, the last of which was funded at $7.1M by the Manhattan D.A.’s Office. Prior to NYCEDC, Ms. Hannon managed a suite of federally-funded projects and public-private partnerships focused primarily on entrepreneurship programming based both in Washington, D.C. and the Middle East region. In Washington, she worked for the American Task Force on Palestine and the American Charities for Palestine managing both policy projects including advocacy on Capitol Hill and international development projects focused on health and education initiatives in the region. In the West Bank, she managed the implementation of Palestine’s first StartUp Cup competition, a global USAID-funded project, on behalf of ConnectME. Ms. Hannon is a former Fulbright fellow and leveraged her research grant to explore female entrepreneurship in Amman, Jordan. She holds a B.S. degree in Foreign Service and Certificate in International Development from Georgetown University’s Edmund A. Walsh School of Foreign Service. Taner Osman is Research Manager at the UC Riverside School of Business Center for Economic Forecasting and Development. Dr. Osman plays a leading role in many of the Center’s principal research projects, which currently include developing labor market analyses and industry profiles for a variety of regional economies. He is also a postdoctoral researcher at the Lewis Center for Regional Policy Studies and an instructor in the Department of Urban Planning at the University of California, Los Angeles. His research focuses on how local economic development and land use policies affect the performance of industries and regional economies. He also specializes in the impact of high-technology industries on local economies. In addition to his role at the Center, he is also Research Manager at Beacon Economics LLC. Dr. Osman co-authored the book “The Rise and Fall of Urban Economies,” a comparative study of the Bay Area and Los Angeles economies published by Stanford University Press. He also publishes scholarly work in the areas of economic development, regional economics and land use planning. Dr. Osman holds a Ph.D. in Urban Planning from the University of California, Los Angeles with a specialization in regional and international development. Mike Dozier is Northern California Representative at the UC Riverside School of Business Center for Economic Forecasting and Development. Mr. Dozier is responsible for expanding the Center’s client base in the northern part of the state and for contributing to and improving its business development strategies. A leader with over 30 years of executive level administrative experience, Mr. Dozier has a comprehensive understanding of public funding, university collaboration, economic and workforce development, fiscal and economic impact analysis, and strategic planning. Mr. Dozier owns and operates his own consulting firm and previously served as the Executive Director of the Office of Community and Economic Development (OCED) at Fresno State. Under Mr. Dozier’s leadership, OCED established and administered the San Joaquin Rural Development Center, San Joaquin Valley Broadband Consortium, the Community and Regional Planning Center, Fresno State Small Business Development Center (SBDC), and the San Joaquin Valley Regional Industry Cluster Initiative. OCED also authored and was the Principal Investigator (PI) for the federally designated ‘Investing in Manufacturing Communities Partnership’ (IMCP) called AgPLUS. OCED partners with the California Association for Local Economic Development and the International Economic Development Council to conduct the annual Introduction to the Economic Development Certificate course. Mr. Dozier also served as the Lead Executive of the California Partnership for the San Joaquin Valley from 2009 to 2017. The Partnership is an 8 county regional collaborative established by Governor Schwarzenegger in 2005 to address issues affecting the Valley in 10 areas of focus: Economic Development, Workforce Development/Higher Education, Housing, PreK-12 Education, Broadband, Health and Wellness, Air Quality, Energy, Water Quality/Supply, and Sustainable Communities. The 45-member Board is made up of 8 private sector leaders and 8 elected officials representing the 8 counties of the San Joaquin Valley. The Partnership provides a unique and on-going relationship between local and regional leaders and the State of California. Formerly, Mr. Dozier was Director of Community and Economic Development for the City of Clovis. He is also a past Vice President of the California Association of Local Economic Development, and past-president of the University Economic Development Association (UEDA). 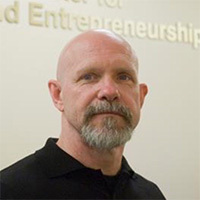 He currently serves on the UC Merced Small Business Development Center Advisory Committee. Mr. Dozier holds a B.A. degree in Political Science and Public Administration from California State University Stanislaus. Brian Vanderplas is a Senior Research Associate at the UC Riverside School of Business Center for Economic Forecasting and Development.. Mr. Vanderplas plays a leading role in many of the Center’s principal research projects with deep specialization in Economic, Fiscal, and Social Impact Analysis, Regional and Sub-Regional Analysis and EB-5 Economic Analysis. Within these areas, he focuses heavily on labor and employment, demographic, and real estate market analysis. In addition to his role at the Center, he is also a Senior Research Associate at Beacon Economics, LLC. Mr. Vanderplas’s current and recent work portfolio include assessing the economic impacts and contributions made by universities including the University of Southern California, UCLA, and California State University Long Beach. He has also played leading roles in high profile economic impact analyses for the Los Angeles 2024 Olympic Committee, Delta Air Lines, the Electric Daisy Carnival, and Otis College of Art and Design. Applying his expertise in regional economics, he has produced economic and demographic assessments of each city council district in Los Angeles for the Los Angeles Area Chamber of Commerce, and in Anaheim for the City of Anaheim. He leads the Center’s monthly analysis of California’s employment numbers, a report widely used by statewide media, local governments, and private businesses. Mr. Vanderplas is also responsible for building and maintaining a wide variety of complex databases that support the Center’s statewide and national economic forecasts, public policy studies, and other projects. In addition to preparing, cleaning, and seasonally adjusting data, he is deeply experienced in a wide array of economic and econometric software programs including STATA, EViews, and SPSS. Mr. Vanderplas’s academic focus includes transportation economics and international trade and development. Prior to joining the Center, Mr. Vanderplas conducted graduate level research on the educational attainment level of migrant populations and on fuel consumption as it relates to population density. He holds M.A and B.A. degrees in Economics from California State University, Long Beach. Justin Niakamal is a Senior Research Associate at the UC Riverside School of Business Center for Economic Forecasting and Development. Mr. Niakamal leads research in the areas of economic and revenue forecasting, regional and sub-regional analysis, housing and land use, and has a specialized focus on public policy analysis as it relates to regional housing markets, land use, transportation, and industry. Additionally, he manages the Center’s confidential data analysis and product line, which utilizes highly proprietary tax and employment data and allows for research that drills down to a neighborhood or even street level. Mr. Niakamal’s recent work portfolio includes conducting population, housing, and employment projections through 2050 as part of two regional growth forecasts for San Luis Obispo County and the San Diego Association of Governments, analyzing the economic and employment effects of minimum wage laws for the California Restaurant Association, and conducting a policy analysis of the 2017 Measure S ballot initiative that would have temporarily banned zoning changes and prevented most new housing development – commissioned by the Coalition to Protect L.A. Neighborhoods and Jobs. He also authors the Center’s Inland Empire Business Activity Index, a quarterly publication that tracks the performance of the Inland Empire regional economy. As part of his intersecting expertise in economic and revenue forecasting and land use analysis, Mr. Niakamal is currently conducting an assessment of future workforce needs in Los Angeles for the County’s Health Agency departments, and developing a broad land use analysis for the City of Los Angeles. In supporting a diverse cross section of the Center’s analytic products and services, Mr. Niakamal applies deep technical expertise in econometric modeling, and in cleaning, maintaining, and managing large and complex datasets. His academic interests and experience include Bayesian inference, causal inference as applied to policy analysis, regression analysis, econometrics, and the application of statistical and econometric software programs including EViews and Stata. In addition to his role at the Center, Mr. Niakamal is also a Senior Research Associate at Beacon Economics LLC. 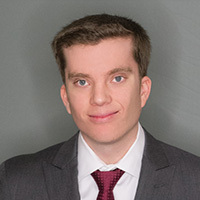 Prior to joining the Center, he completed a graduate level internship at Applied Medical, where he managed and leveraged large data sets to provide sales forecasts. Mr. Niakamal holds an M.S. degree in Economics from California State Polytechnic University, Pomona and a B.A. degree in Economics from California State University, Long Beach. Hoyu Chong is a Senior Research Associate at the UC Riverside Center for Economic Forecasting and Development. Ms. Chong leads research in the areas of sustainable growth and development and housing and land use. She works heavily with geographic information system (GIS) software and U.S. Census data in support of economic and policy analysis related to energy, the environment, housing, land use, and transportation. Ms. Chong’s current and recent work portfolio includes leading research on a green innovation index for California that compares the state’s key environmental indicators, such as clean technology and renewable energy, with those of the U.S. and world. 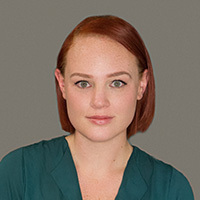 She has also recently led analyses on the state of housing production in California, on trends over time in housing, migration, and employment in the state, on the adoption, costs, and use of zero-emission vehicles in California, and on how transportation infrastructure funding in the state compares to other locations. In her focus on affordability, she has analyzed the effect rent control ordinances in California have on mobile home parks. Ms. Chong’s Southern California work portfolio includes conducting a review of the financial feasibility of a major mixed-use development project in downtown Santa Monica, analyzing and quantifying future housing needs through 2040 for the City of Long Beach, and examining the economic effects of an affordable housing ballot measure in Los Angeles. 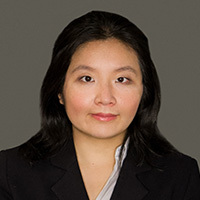 In addition to her role at the Center, Ms. Chong is a Senior Research Associate at Beacon Economics LLC. Prior to joining the Center, she was a Research Intern at the Federal Reserve Board in Washington, DC. Ms. Chong holds an M.A. degree in Economics from the University of Southern California and a B.A. degree in Business Economics from UCLA with minors in Accounting and Spanish. Jordan Giali is a Senior Research Associate at the UC Riverside School of Business Center for Economic Forecasting and Development. Mr. Giali is responsible for overseeing and leading the Center’s economic impact analysis product line. He has developed a deep and specialized expertise in conducting and managing high profile impact analyses for the 2024 Los Angeles Olympic Games Committee, Virgin Trains USA, Blizzard Entertainment, the Ontario International Airport, the University of California, Los Angeles (UCLA), California State University, Long Beach (CSU Long Beach), the Okeechobee Music and Arts Festival, and the Electric Forest Music Festival among many others. His work takes a broad, holistic approach in order to fully capture and calculate the added value and contributions to growth that events, institutions, and policies create through their activity. Mr. Giali also manages the Center’s public speaking research team. He has overseen the research and production of presentation materials for organizations including the American Bar Association, Paulson and Company, the National Conference of State Legislatures, the California Association of County Executives, the Los Angeles Area Chamber of Commerce, the Hotel Council of San Francisco, the East Bay Economic Development Alliance, and a wide array of prominent law firms, banking institutions, and universities. Additionally, his recent policy-related work portfolio includes contributing to an analysis of the Los Angeles County Film and Digital Media Industry commissioned by the County’s Chief Executive Office, to the 2019 Otis Report on the Creative Economy commissioned by Otis College of Art and Design, and to an analysis of the Measure S ballot initiative in the City of Los Angeles commissioned by the Coalition to Protect L.A. Neighborhoods and Jobs. Mr. Giali works with a wide range of public and private datasets for economic and statistical analysis, including from the U.S. Bureau of Labor Statistics, the U.S. Bureau of Economic Analysis, the U.S. Census Bureau, the California Employment Development Department, CoreLogic, PitchBook, Inc. and WISERTrade. He is highly-skilled in building proprietary datasets, as well as cleaning and analyzing data using a variety of statistical and data analysis tools, such as Stata, Python, Microsoft Excel and the ArcGIS suite. In addition to his role at the Center, Mr. Giali is also a Senior Research Associate at Beacon Economics LLC. Prior to joining the Center, he conducted marketing research for Livelyhood, a technology startup based in Washington D.C.
Mr. Giali holds a B.A. degree in Economics from Pepperdine University. Mazen Bou Zeineddine is a Research Associate at the UCR School of Business Center for Economic Forecasting and Development. Mr. Bou Zeineddine is responsible for supporting a diverse range of the Center’s principal projects and initiatives with a special focus on regional economic analysis. In addition to his role at the Center, he is also a Research Associate at Beacon Economics LLC. 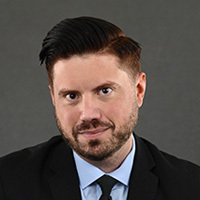 His recent work portfolio includes a high profile analysis of the creative economy in Los Angeles County and California, a regional demographic forecast for the San Diego Association of Governments, and a forward looking analysis of the healthcare workforce in Los Angeles County. Mr. Bou Zeineddine also regularly co-authors regional outlooks for California’s major urban economies, has produced a regional intelligence report examining local economic trends for the City of San Jose, provided key research support for an in-depth analysis of the tech sector in Santa Cruz County, and assisted with an assessment of future housing needs in the City of Long Beach. His academic interests include econometric analysis and his graduate program focused heavily on the study of statistics and mathematics, including linear algebra. Prior to joining the Center, Mr. Bou Zeineddine worked in the Trade and Finance Department of the Al Ahli Bank of Kuwait where he managed client accounts and ensured legal documentation requirements were met. He was also a business analyst for Autokal Inc. where he conducted market research, developed marketing strategies, and tracked website data. 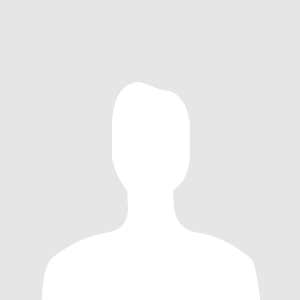 Mr. Bou Zeineddine holds an M.A. degree in Economics from the University of Southern California and a B.A. degree in Economics from the State University of New York at Oswego. 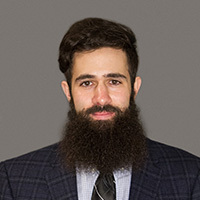 Joshua Baum is a Research Associate at the UCR School of Business Center for Economic Forecasting and Development. Mr. Baum is responsible for supporting a wide variety of the Center’s projects and initiatives. In addition to his role at the Center, he is also a Research Associate at Beacon Economics LLC. His recent work portfolio includes authoring chapters for the Central Coast Economic Forecast and conducting regional industry and housing market analyses for the East Bay Economic Development Alliance. 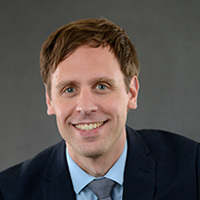 Mr. Baum’s research interests include the effects of local and state housing legislation and the importance of coordinating transportation and land-use policies to meet California’s aggressive climate action goals. Prior to joining the Center, as part of his Master’s program at UCLA’s Luskin School of Public Affairs, he completed a capstone project that examined housing and household changes during the 21st century in Irvine, one of California’s fastest growing cities. 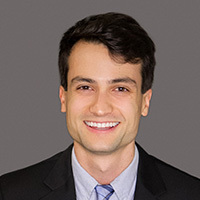 Mr. Baum also formerly served as the Local Legislative Director for the UCLA Graduate Students Association, has interned for the Southern California Association of Governments and the City of Los Angeles, and has conducted research for the UCLA Lewis Center for Regional Policy Studies. Mr. Baum holds a B.A. degree in Political Science and a Master of Urban and Regional Planning from UCLA. Ryan Martinez is an Economic Forecasting Research Associate at the UCR School of Business Center for Economic Forecasting and Development. Mr. Martinez is responsible for supporting a diverse range of the Center’s projects and initiatives with an emphasis on regional economic analysis and forecasting. In addition to his role at the Center, he is also an Economic Forecasting Research Associate at Beacon Economics LLC. His recent work portfolio includes co-authoring regional outlooks for California’s major metro economies, drafting a regional intelligence report for the City of Ontario, and supporting the creation of a regional economic forecast model for the San Diego Association of Governments. His academic and research interests include mathematical statistics, comparative economic systems, and monetary economics. Mr. Martinez plans to further his academic training in integer programming and dynamical systems theory. During his academic career, he developed reports and presentations on subjects ranging from the tiger economies of East Asia to the employment outlook for recent psychology graduates. Mr. Martinez holds a Bachelor’s degree with a dual major in Economics (B.A.) and Statistics (B.S.) from California State University, East Bay and an A.A. degree in Liberal Arts from San Jose City College. Danielle Tremeear is Executive Assistant at the UC Riverside School of Business Center for Economic Forecasting and Development. Ms. Tremeear has extensive expertise creating more efficient and functional work environments through the management of office operations and administration of client service processes. In her role at the Center, she is responsible for supporting multiple executives, overseeing special projects, managing and streamlining office and accounting procedures, planning and executing events and conferences, and acting as a liaison between staff, vendors, and clients. In addition to her role at the Center, she is also Executive Assistant at Beacon Economics LLC. Formerly, she was an executive assistant at a large law firm in Southern California, and before that worked in additional office management capacities and in retail sales. Ms. Tremeear attended The Art Institute with a focus on Fashion Marketing and Management. Jessica Hernandez is Marketing Coordinator at the UC Riverside School of Business Center for Economic Forecasting and Development. Ms. Hernandez has a professional background in both front and back office management including administering customer service procedures, accounting and human resources processes, data entry, and overall office operations. 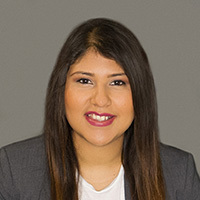 In her role at the Center, she is responsible for supporting a wide variety of marketing initiatives and administrative funcions including managing marketing databases, designing products and promotional materials using software such as Illustrator and Photoshop, and assisting with e-marketing and social media campaigns. She also helps with scheduling, interfaces with vendors, and assists with events and conferences. Prior to joining the Center, she was a leasing agent and customer service representative for a large storage facility and before that oversaw administrative functions for a painting contractor and a construction company. Ms. Hernandez is fluent in Spanish and is currently pursuing a Bachelor’s Degree at California State University, Northridge. Rachel Amick is Administrative Associate/Project Coordinator at the UC Riverside School of Business Center for Economic Forecasting and Development. Ms. Amick supports all aspects of the Center’s administrative and human resources functions and manages of a wide variety of project related duties. In her role at the Center she is responsible for assisting with filing systems, billing and contracts, scheduling and calendar maintenance, events, recruiting and staff benefits, and project management. Ms. Amick has extensive experience working in administrative, customer service, and executive assistant capacities. Prior to joining the Center, she was an executive assistant and office manager at a large medical office and before that worked as a customer service representative at JNR, a company focused on improving human performance in the workplace. Ms. Amick holds an Associate Degree in General Studies from Fullerton College.